In 1780, in spite of the objection of the Continental Congress to the selling of land by the State, the Vermont Legislature granted 61 new townships. Among these was the Hyde Park propriety. The township of Hyde park was granted by the General Assembly to Captain Jedediah Hyde, William Dennison, Esquire and Company. Governor Chittenden issued the Charter in 1781. There were 65 proprietors interested in the Hyde Park grant, mostly Captain Hyde’s personal friends, relatives and members of the Continental Army. Only two of the original proprietors were known to have settled and lived in Hyde Park. They were Captain Hyde and Captain Jabez Fitch. The Town of Hyde Park lies in east central Lamoille County. 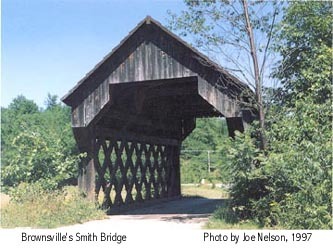 The town is comprised of 24,960 acres, covering approximately 39 square miles, along the northern edge of the Lamoille River. Population density in Hyde Park is approximately 75.2 people per square mile. According to the 2000 Census, Hyde Park has a population of 2,847 people, comprising 12 percent of the County’s population. Nearly 15% (415 persons) of Hyde Park residents live within the incorporated Village. Hyde Park Village is governed by a five-member Board of Trustees. The Town of Hyde Park is governed by a five-member Selectboard. The Town and Village share a municipal office building located on Route 15 West, in the Town of Hyde Park. The Town of Hyde Park (outside of the Village) does not have any public sewage treatment facilities. All sewage treatment must be handled by on-site systems. Public water systems serve the Village of Hyde Park, residents in North Hyde Park and residents of Sterling View Mobile Home Park. All other properties are served by private water supplies. There are three levels of police coverage in Hyde Park: the Town’s elected Constable, the Lamoille County Sheriff’s Department, and the Vermont State Police. Hyde Park has two volunteer fire departments: the Hyde Park Fire Department and the North Hyde Park/Eden Fire Department. A privately owned ambulance service provides immediate emergency response. 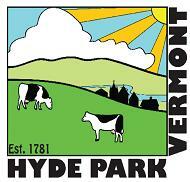 Hyde Park is the shire town of Lamoille County housing the Superior, District and Probate Courts. The Court House was built and county court held there beginning in December of 1836. Students in Hyde Park attend schools under the jurisdiction of the Lamoille North Supervisory Union. Hyde Park Elementary School serves students in grades K- 6th. Lamoille Union High School and Green Mountain Technical and Career Center serves students in grades 7th -12th. Hyde Park is family-oriented, with a strong sense of community and pride in its history. It enjoys a high quality environment, natural beauty and resources, historic character and active community involvement.